Conjunctiva: Diffuse hyperplasia with fibrinonecrotic conjunctivitis. Diphtheritic (wet) form of avian pox with fibrino-necrotic proliferative lesions on the conjunctiva. 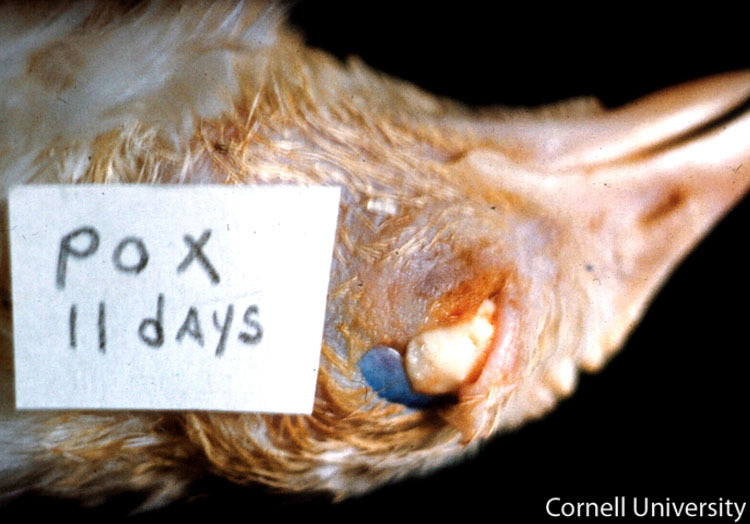 The conjunctiva of this bird is largely replaced by a large, raised, well-demarcated, pale tan mass partially covered along the medial aspect by a layer of light, slightly wet, friable material.